While Google wants you to keep everything online or in the cloud, Google Home has one handy feature for those who still shop at brick-and-mortar stores. Don’t have Google Home? Keep reading to take advantage with any capable Android phone. Rather than rush out only to find a store (or restaurant) is already closed, you can check with Google to make sure it’s still open. You don’t even have to fiddle with any buttons — just speak out loud and ask a question. You can of course substitute the bold text in the command with the store name or type you’re interested in. When responding, the Google Home will specify which branch it’s referring to by mentioning the address. If you want to set up multiple shopping lists, open up the Google Home app and tap the hamburger button. Go to More settings > Shopping list. If you prefer you can even opt for shopping online using Google Home Google Home's Voice Controls: The Future of Home Shopping? Google Home's Voice Controls: The Future of Home Shopping? Google Home wants to give Amazon Echo a run for its money when it comes to letting you shop without lifting a finger -- but is it ready to take over the online shopping market? Read More . This feature is currently only available to U.S. residents, and it does mean you’ll have to enter your credit card or payment info on the Google Home device. 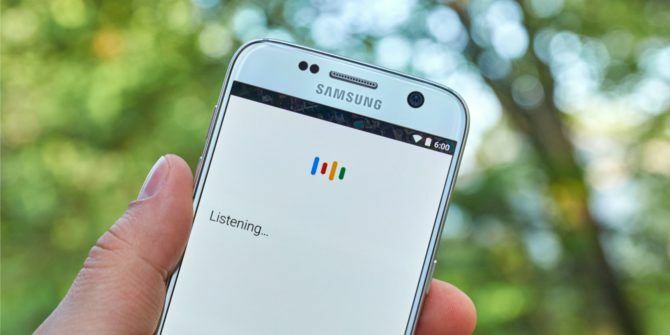 If you have Google Assistant on your Android phone How to Lock/Unlock an Android Phone With Your Voice Using Google Assistant How to Lock/Unlock an Android Phone With Your Voice Using Google Assistant What if you could lock and unlock your phone with just your voice? On Android, you can do this thanks to Google Assistant. Read More , you can use the same commands above to find out all about your favorite stores and businesses operating ours. Google Assistant will display a set of results it pulls up from Google Maps with business hours included. If you don’t have access to Google Assistant, any smart phone with Google Maps installed makes it easy to find out some of that key information. Google Maps is great for letting you know what time a business or restaurant is going to close. In fact, if you try to put in directions for a store that is closed, or that is closing soon, Google Maps will let you know. What are your favorite Google Home tips and tricks? Let us know in the comments. Explore more about: Google Assistant, Google Home, Google Maps.